Michigan may be my home, but Chicago feels like my hometown. It is a city I will never tire of visiting. Last weekend my husband and I drove to Chicago with some friends simply to eat and enjoy the Christmas spirit. 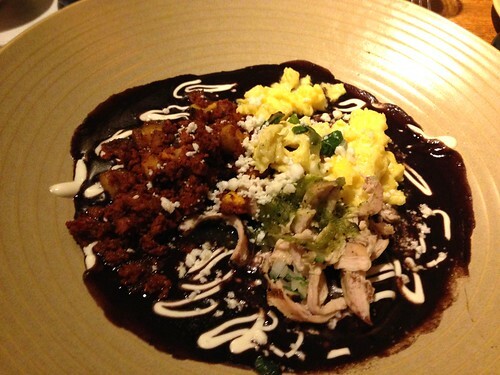 I am not ashamed to admit we ate at a Rick Bayless restaurant THREE TIMES in 36 hours. His food is just so incredibly magical. I could eat it every day and never tire of it. Jeff Bezos needs to forget about using drones to deliver my Amazon package in 30 minutes or less. I want him to deliver me some Rick Bayless food to my doorstep. Some of the dishes you order from his restaurants can possibly incite a "Meg Ryan-like reaction", which is why we chose to eat there more than once. At Xoco, I ordered my usual favorite sandwich, the torta ahdogada (that my husband has now renamed the "torta OhMyGod-a") which is pork carnitas and black beans, topped with pickled onions, swimming in a spicy tomato broth. We also ordered the guacamole which tells you right there how good the food is at Xoco -- I don't even like guacamole and I devour this stuff. I'd lick the bowl if I weren't in public. 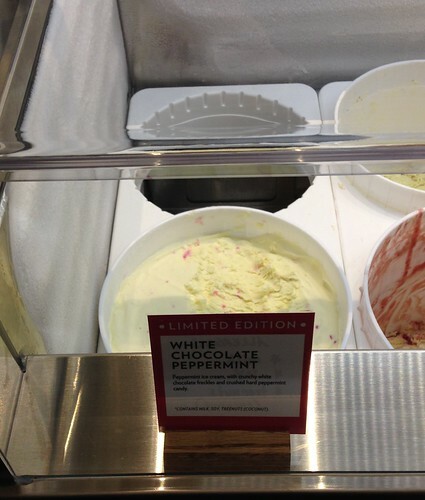 It's just so perfectly creamy and garlicky. 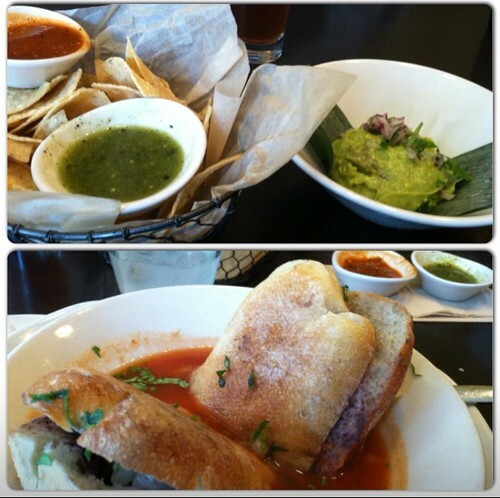 Top: green and red salsa and guacamole, Bottom: torta ahdogada, aka "torta OhMyGod-a"
At our brunch at Frontera I ordered the gorditas, which sounds like something you'd order at Taco Bell and then regret later, but at Frontera, gorditas are rounds of corn masa swimming in a black bean sauce. Each masa round then has a different topping: chicken, chorizo, and the most pillowy scrambled eggs I've ever eaten in my life. And then finally, we culminated our weekend of eating at a trip to Sprinkles Cupcakes and Jeni's Splendid Ice Creams, which just recently opened a location in Chicago. I am praying for the day when they open a location in Michigan. 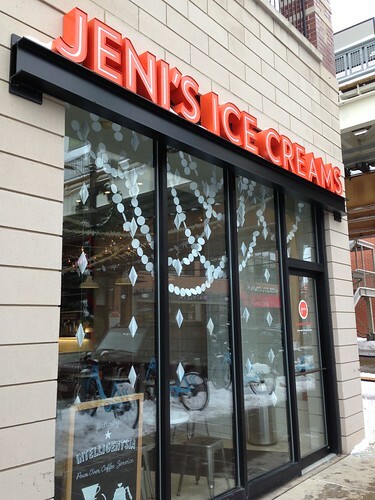 Their ice cream is so heavenly, as you might have already seen me write about it before here on the blog. 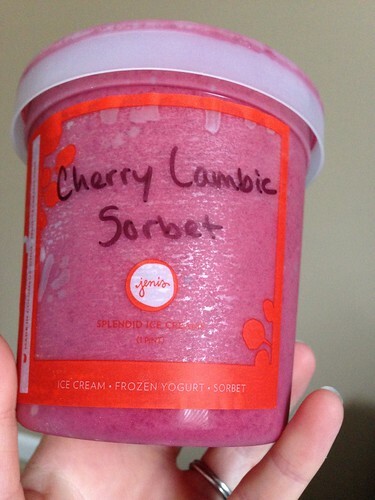 This time we brought pints home of cherry lambic sorbet, white chocolate peppermint, and brown butter almond brittle ice cream. It was a fun, delicious weekend had by all. My only question now remains, when will I be going back? I'm craving Mexican food now! And ice cream. We have family in the Chicago area, so I need to remember these places when we plan our next visit. Unfortunately, we don't get out there often! Wow, those gorditas have me drooling. 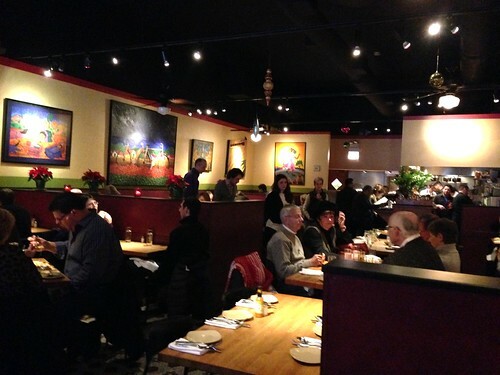 I'm going to Frontera on my next trip to Chicago. You know, I've never been to Chicago for fun, but I've seen enough amazing food-tour photos from the web and friends that I'm almost ready to book a trip! YUM.